How cute are these? I am a gadget freak and I own every sort of kitchen gadget you can imagine. So when I saw this little pastry cutting roller the other day, I had to have it. And when it came in the mail, I had to use it. So I made these little pastries and they were delicious and pretty too! Heat the oven to 400°F. Beat the egg and water in a small bowl with a fork or whisk and set aside. Unfold 1 pastry sheet on a baking sheet lined with parchment paper. Cut into squares (whatever size you want). On each square spread a little pie filling to within 1 inch of the edge. Brush the edges with the egg mixture. Unfold the remaining pastry sheet and cut into the same size squares. 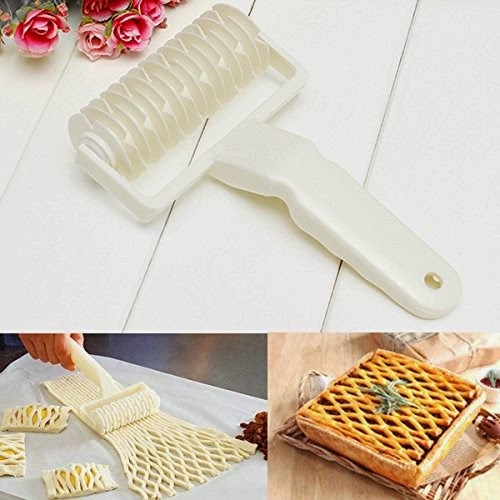 You can simply place them on top and crimp the edges or if you want a pretty presentation you can make a lattice top with a pastry roller cutter like the one I used (see comments) or you can use a pizza or ravioli cutter and cut thin strips of dough to create a lattice pattern on top. Once you have put on the top layer then crimp the edges with a fork or pinch the edges with your fingers to seal. Brush tops with the egg mixture and sprinkle coarse sugar on tops. If not using lattice top, make sure you cut several slits in the top of the pastry and then sprinkle with course sugar. Bake on parchment lined baking sheet for 30 minutes or until the pastry is golden brown. Cool the pastry on the baking sheet on a wire rack for 15 minutes. Sprinkle with additional sugar if desired. Photography is copyrighted and the property of ©Welcome Home. 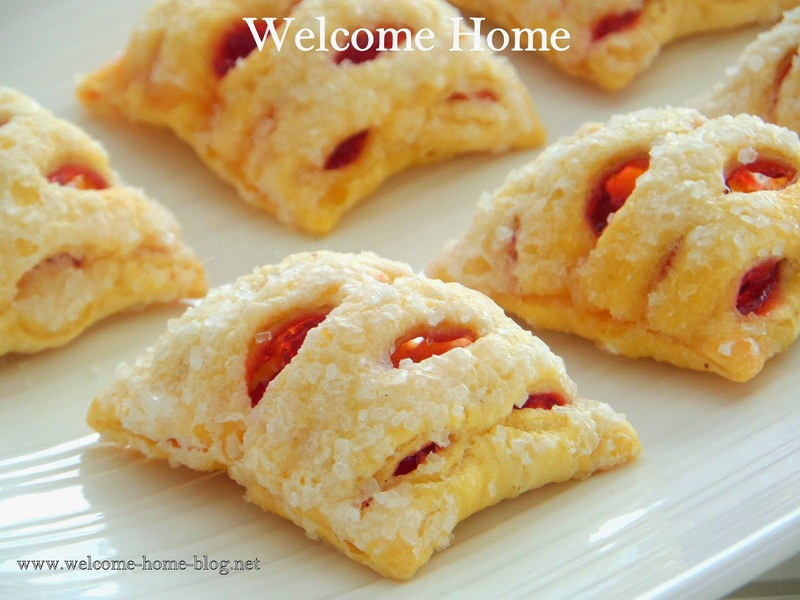 Welcome Home Magazine, May 1st Issue is Here! GRAND COOKBOOK SALE ONLY $11.99!